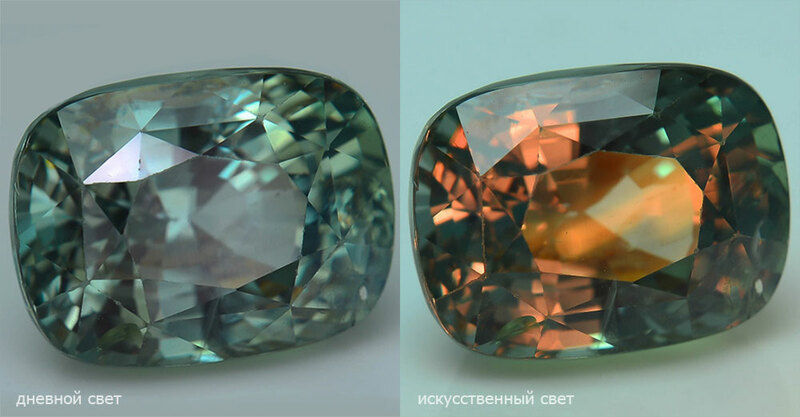 Alexandrite (Ural chrysoberyl, Russian prophetic stone) - one of the most fascinating gemstones. Because of its unique ability to change color. Finnish mineralogist N. Nordenskiold, who discovered the mineral alexandrite in 1834 (ie, true version that alexandrite were known before in India), said that in the light of the candles this gem suddenly became dark red, although the sun was green. However, there are alexandrite and almost transparent or bluish hue in daylight and raspberry and violet-red in artificial light. Still, the main difference from other alexandrite gemstone lies in its unusual ability to change color in different light. Name your alexandrite was in honor of Russian Emperor Alexander II in 1842 (at that time, though, Alexander was a crown prince, only the age of majority). 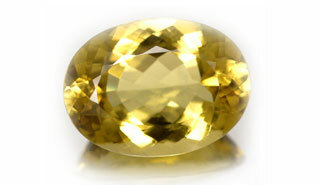 For a long time, Alexander was mined in Russia in the Urals, why even got a special name "Ural chrysoberyl ", but then this gem was discovered and outside the country. Alexandrite - expensive gem and the price is second only to the leaders among the precious stones - diamonds , rubies , sapphires and emeralds . For a long time the unique quality alexandrite was a kind of method of testing stone of originality, but smart people of the twentieth century smart enough to make artificial stones that changed color as true alexandrite (in Russia at the same time artificial alexandrite are widely dispersed among the population due to the low price, but many women who have bought these stones, lost their husbands during the second world war, making the stone came to be called "widow" that affected the popularity of these alexandrite, although the link between artificial alexandrite and the loss has not been proven by any man). Magical properties of alexandrite heterogeneous. For example, there is a version that Alexander warns of any imminent danger of the emergence of yellow hue. 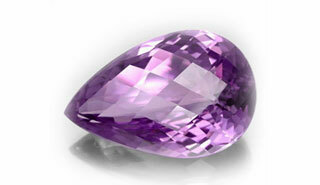 Even after this beliefs alexandrite got another name - "Russian prophetic stone." Another believed that the feature of alexandrite change color helps to create a balance between reason and emotion in stone holder. However, in Europe such variability alexandrite other owner of this gem amorous and jealous. 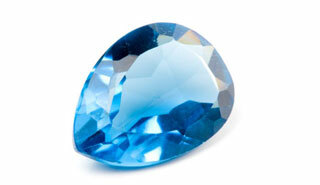 Hindus also believe in general alexandrite stone longevity, luck and prosperity. Equally diverse and medicinal properties of alexandrite. Duality stone color is associated with two types of blood - arterial and venous. Accordingly, this gem beneficial effect on everything related to the circulation of blood and hematopoiesis. Hindus also believe that Alexander calms the nervous system, and (for some reason) relieves itch, alcoholism, and even leprosy.